With age, wet pour surfaces can shrink away from the sides – particularly in the UK where surfaces are put through their paces with a variety of temperatures and weather conditions. 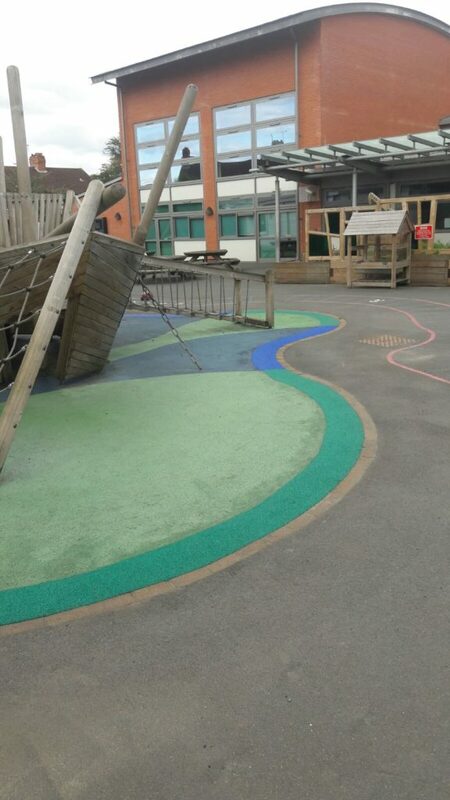 PlaySmart UK are well equipped in offering play surface repairs for a range of safety flooring. We’re often asked by clients to provide a repairs service to extend the life of their existing wet pour surfacing. 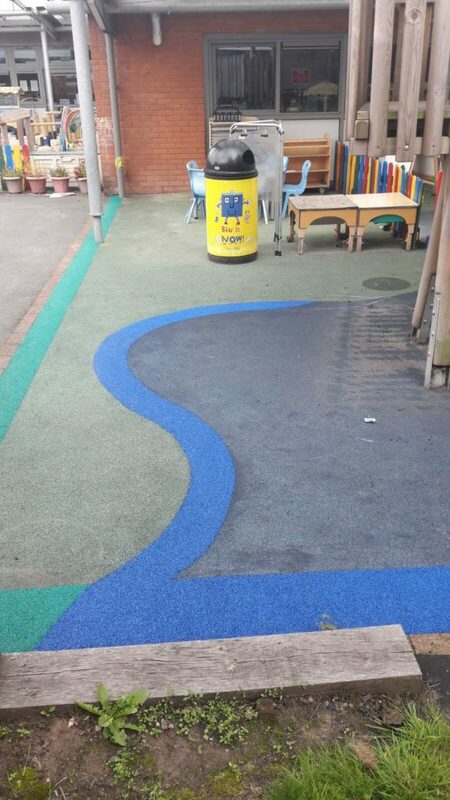 Often if completed in a contrasting colour, this can bring new life to an area while removing any trip edges. If you’d like advice on the best method to extend the life of your play surface, please feel free to get in touch! You can reach our experienced team directly on 01564 742 811. Alternatively, why not take a look at our guide? It features plenty of information about wet pour surfacing, as well as our other flooring options. Simply click the image below to download your free copy!